Currently, the scientific community in the UK and Europe is faced with a challenge few scientists wanted. 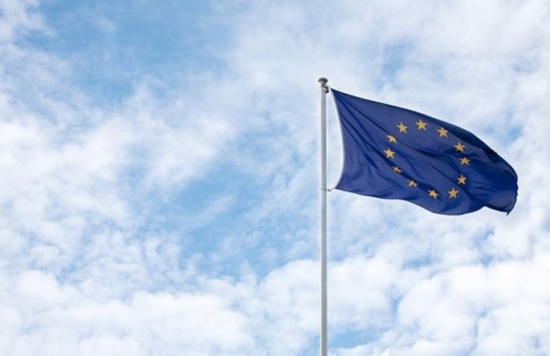 The majority of UK voters have decided to leave the European Union, a choice not shared by up to 93% of UK scientists who overwhelmingly viewed EU membership as a positive force. It is hard to argue against the EU’s immense impact on academia: additional funding, opportunities for collaborations, free movement of scientists. All of these benefits are now potentially at risk. It was amid such sentiments that Parliamentary Links Day took place a mere five days after the referendum. The room was full beyond capacity- a testament to the anxious scientists and sympathetic policy-makers, all eager to hear what the future holds for UK science. 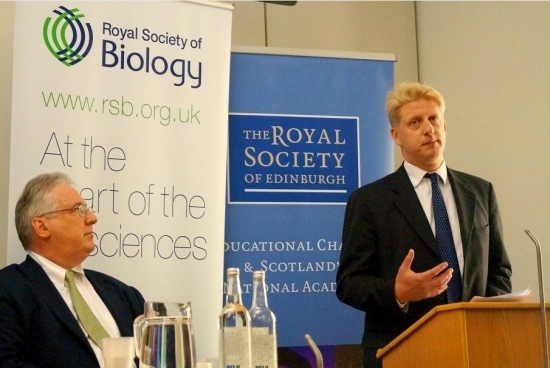 Minister for Universities and Science, Jo Johnson MP, and a number of other prominent figures in politics and science had the task of voicing and addressing the audience’s concerns. The EU is a world leader in science output, and the UK benefits from and contributes to this success. Science is increasingly international, and the EU recognises this by investing 8% of its budget into the Horizon2020 science programme, which funds and enables collaborations between the best researchers in the EU, and relies on the freedom of movement and a common legislative framework. UK researchers have been so far extremely successful at securing such grants, and might now face losing access to the programme. For now, Jo Johnson assured the audience, “nothing has changed and UK participants can continue to apply”. Unfortunately, UK researchers are already raising concerns about discrimination in EU grant applications. The UK political scene is currently in turmoil, making it difficult to predict the future of science post-Brexit. However, there are clear priorities in the scientific community. Jo Johnson emphasised the Government’s commitment to investment in research and innovation, but made no predictions on how the current level of R&D investment in the UK will be sustained. The academic sector is especially vulnerable, receiving about 10% of its research funding from the EU. For the UK to remain a scientific powerhouse it needs ever stronger support from the Government. The work of thousands of researchers is potentially at risk unless current funding is matched or continued access to Horizon2020 is negotiated post-Brexit. Science and innovation are essential for the strength of the economy and, as Sir Venki Ramakrishnan, the President of The Royal Society, stressed, science is a stable long–term investment. Moreover, the Government should recognise and protect the UK’s excellent researchers, as well as the country’s science reputation. “We are in a global market for talent”, Sir Venki reminded the audience. The speakers argued that the UK is a strong country, and the future might not be as bad as many fear if we use our ‘resilience, whole concentration and collective wisdom’. There is a chance, that leaving the EU will open up new possibilities for UK science and the audience was repeatedly assured that the UK will continue to be a scientific powerhouse. 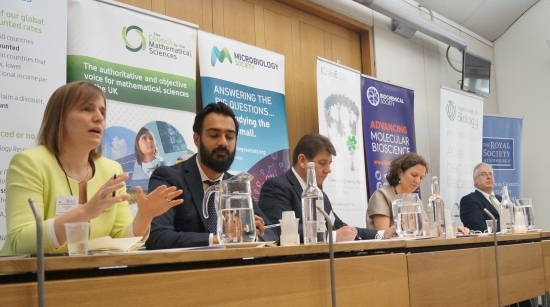 To effectively influence post-referendum negotiations, Dr Sarah Main (CaSE), emphasised that scientists, who undoubtedly deserve a seat at the table, need to have a unified voice. Main asked the audience to carefully consider which aspects of EU membership it is necessary to preserve. Free movement of scientists? Clarity and stability of funding? Access to European facilities? Building networks and collaborations? It is possible we need all of these for science to thrive in the UK. What is important at the moment is for researchers and science organisations to engage in extensive dialogue among themselves, with policy-makers, and with society at large, to ensure their voice is loud, clear, and impossible to ignore. Read more about Parliamentary Links Day on the Royal Society of Biology website. Comments Off on What next for science after the referendum?